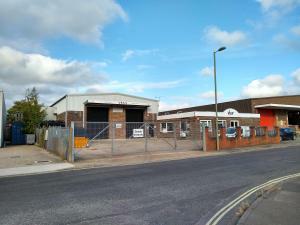 A commercial warehouse in Southampton may be used for a wide diversity of purposes. Most warehouses in Southampton are perfect to be used as a storage facility for heavy duty goods or other items. The warehouse in Southampton may also be used as an industrial workshop. Regardless of what your requirements are from a warehouse in Southampton for sale, we are confident MOVEHUT can help. Finding the right warehouse to buy in Southampton will be made easier if you're clear about your requirements. You might want to examine the traffic on nearby roads and motorways, and consider how it could affect your business in Southampton. Whatever your exact requirements are in Southampton, the listings here at MOVEHUT should make your warehouse search go smoothly. When it comes to property searches in Southampton, you should remember our tips, which we feel can make your search more effective. The property location will obviously have an influence on your choice, along with the availability of parking spaces. Get started with MOVEHUT today, and find a warehouse in Southampton that is excellent for you. Start your search for a warehouse for sale in Southampton with MOVEHUT and let us take the strain. With our easy to use website, you can filter, organise and refine your warehouse results in Southampton effectively. 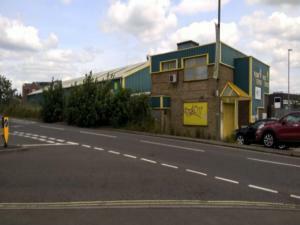 MOVEHUT will provide you with the right results, so start searching for a warehouse for sale in Southampton. After finding your dream warehouse for sale, it is likely that you will want to make an offer. If you have applied for a commercial mortgage which has been approved, this should be confirmed in writing to the seller with your offer, typically the guarantee of your ability to quickly complete the transaction will encourage the seller to accept your offer on the warehouse. Hopefully when you do come to making an offer on your warehouse, everything will go great for you. Here at MOVEHUT, we always recommend you to view the Southampton warehouse in person before committing yourself to buy the property. One key element that you should be checking is that whether the property in Southampton is suitably located for the type of business you plan to undertake. Ensuring any air conditioning units in the warehouse are in a working condition can save you a lot of hassle in the long run. You should find the ideal a warehouse in Southampton to buy, with MOVEHUT's tips in mind.